I found a new gadget that helps reduce shaky video. The Digipower Action Camera Stabilizer. It is a simple design, includes counter weights, smart phone mount and a GoPro mount. It all packs nicely in a hardshell case. The price was about $60 for the kit. It is quite simple. You mount your device then use the counter weights and level (built in the arm) to get the desired angle. When you start filming the mount helps to reduce camera shake and movement. I’ve only used it a little but notice a big difference in video quality. Over all it seems to be well built but be aware it is for light weight cameras. I would not try to mount a DSLR or full size video camera to this unit. The only real issue I ave is the case does not look to be the most durable. For the price this mini steady cam is a great value! I embark now on a new bit of photographic fun. Not only photo’s but video as well. I decided to play with iStopMotion. This was a very fun tool to use. The interface is simple and takes very little time to learn. Like those Claymation holiday movies this program creates a video from still frames. You position your character/object then snap an image. The program imports the file (if you have a web Camera/live view video camera you can see the image preview) then you move your character/object a little and take a picture. Repeat this process and your character comes to life. The program has several tools to assist you like color correction and tilt shift controls. You can use a grid layout to help track motion. The program can also be use to capture time lapse photography. Additional tools like onion skin lets you overlay the current image over the previous on to insure you movement is fluid and not off. One of the other useful tools is the robo sync. You can for instance record an actor then use the footage to mimic the actors motion with the character/object. The program also comes with some preset foregrounds and backgrounds. 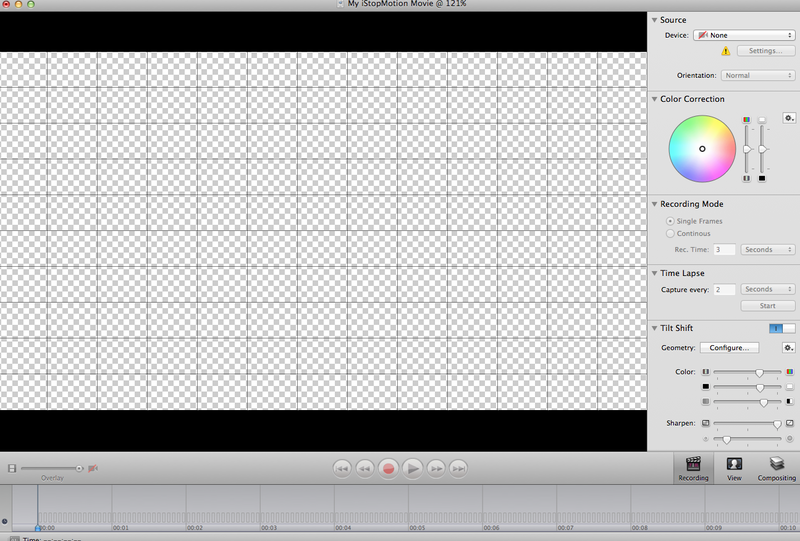 Over all I say if you enjoy those old Claymation movies and want to create your own then you need to try iStopMotion. Below is my first sample movie. I used iStopMotion then imported the project in After Effects to give it that night look and create the ghost. It was fun to make, hope to make another one soon! Thanks for reading!